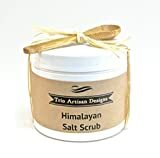 Pink Himalayan salt provides a rich source of minerals beneficial to your skin. It not only makes a wonderful body exfoliant but is also perfect as a moisturizing, natural hand cleanser to use in place of your regular soap which can be drying. Combined with sensitive skin loving sweet almond oil for its moisturizing and anti-inflammatory properties, dry skin will be soothed and pampered with every washing. To use as a hand wash, simply scoop several spoonfuls of the salt scrub with the adorable mini wood spoon into wet hands, rub hands together as you would with regular soap, and rinse under warm water. You will have softer, cleaner, more moisturized hands than with regular soap without the drying effect. Just leave the container and spoon at the kitchen or bathroom sink for a much better hand washing experience! To use as a full body exfoliant, take several spoonfuls or simply dip your hand into the jar and gently rub in a circular motion to increase circulation for a healthy, invigorating glow. Once exfoliated, rinse off, and follow by patting skin dry and applying moisturizer if needed. Please note that my pink Himalayan salt scrub is made with extra fine, culinary Himalayan salt and has a higher level of exfoliation than my lighter sugar scrubs. 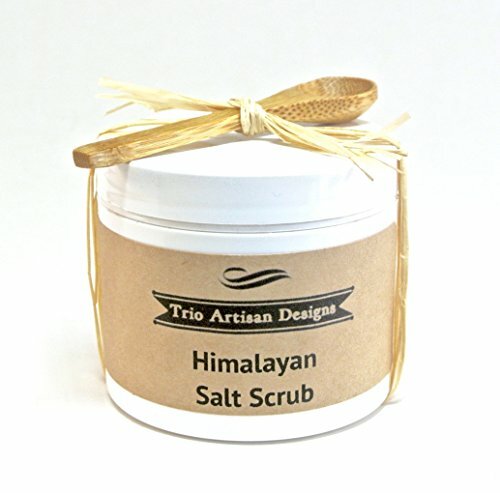 This salt scrub is unscented and uncolored providing the most pure cleansing, exfoliating, and moisturizing effect. Please use caution if using in the shower or bath as it may be slippery. Comes in 4 oz or 8 oz plastic jar. I wonder how much attempt you place to create the sort of excellent informative web site.